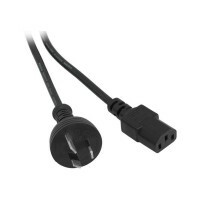 This power lead features an IEC-C7 (Figure 8) connector which is common on a number of electrical devices including portable audio systems, radio systems, gaming consoles and more. Compatible with any standard 240V Australian mains power point. This power lead features a IEC connector, commonly referred to as a "Kettle plug". This connector type is usually found on subwoofers, desktop computers, monitors, TV's and more. Compatible with any standard 240V Australian mains power point. This USB to 5V Power Cable is the perfect solution to take advantage of the convenience that a USB port provides. Instead of using a mains power adapter, simply use this cable with any available USB socket. 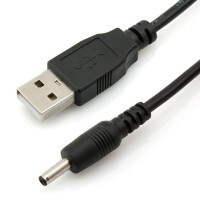 Features a 3.5mm x 1.35mm plug tip and 1m cable length. This USB to 5V Power Cable is the perfect solution to take advantage of the convenience that a USB port provides. Instead of using a mains power adapter, simply use this cable with any available USB socket. 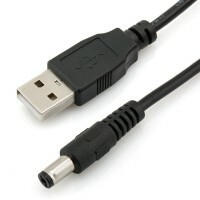 Features a 5.5mm x 2.1mm plug tip and 1m cable length.